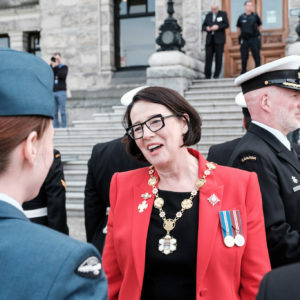 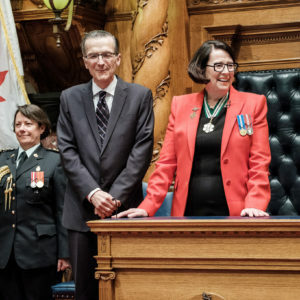 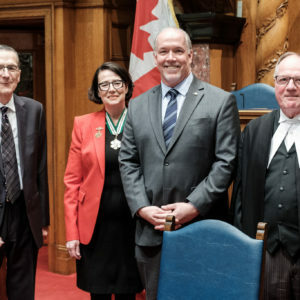 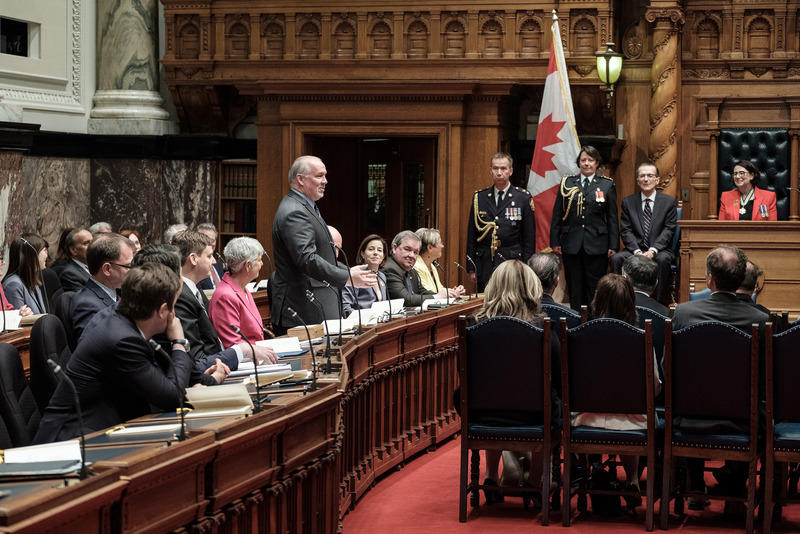 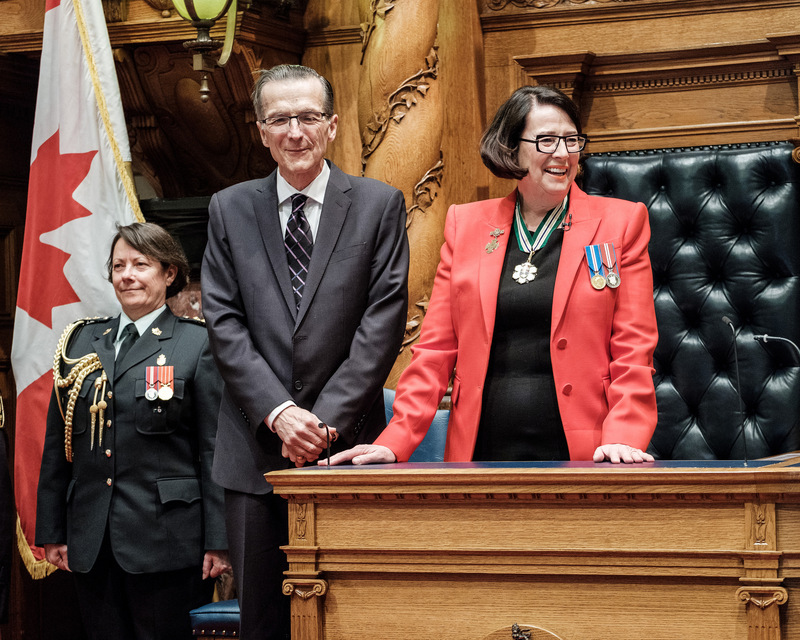 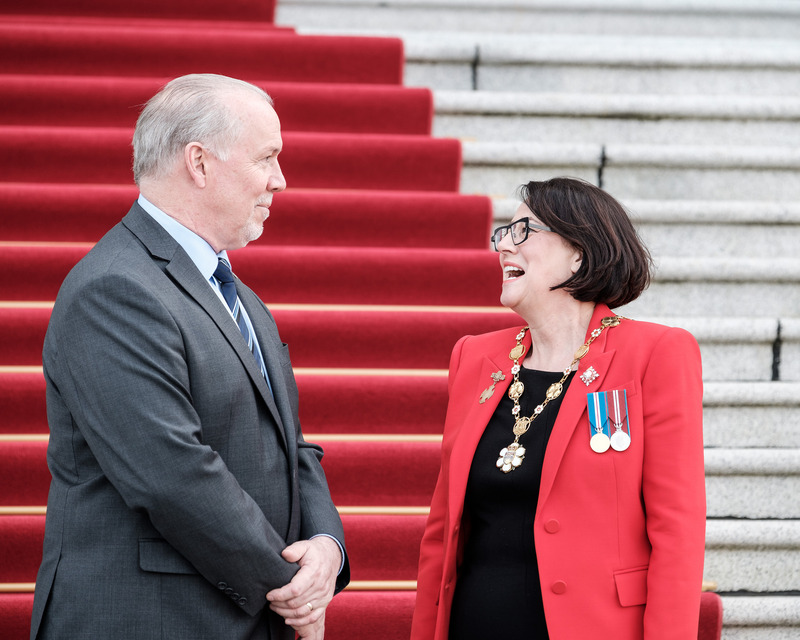 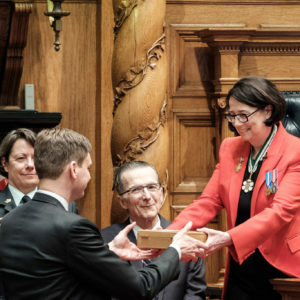 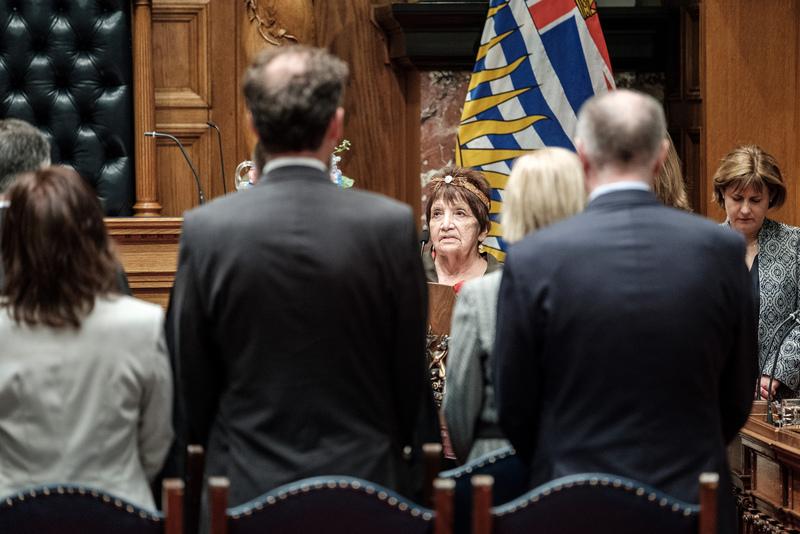 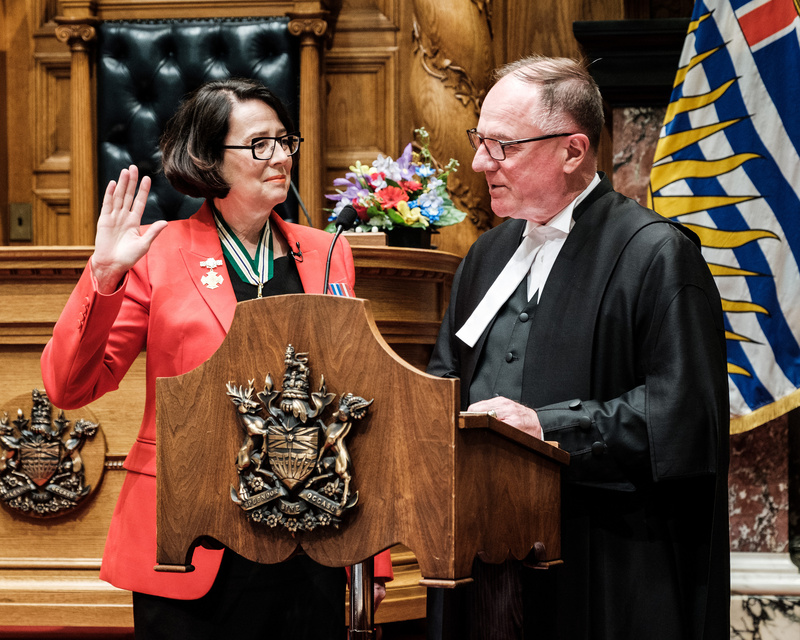 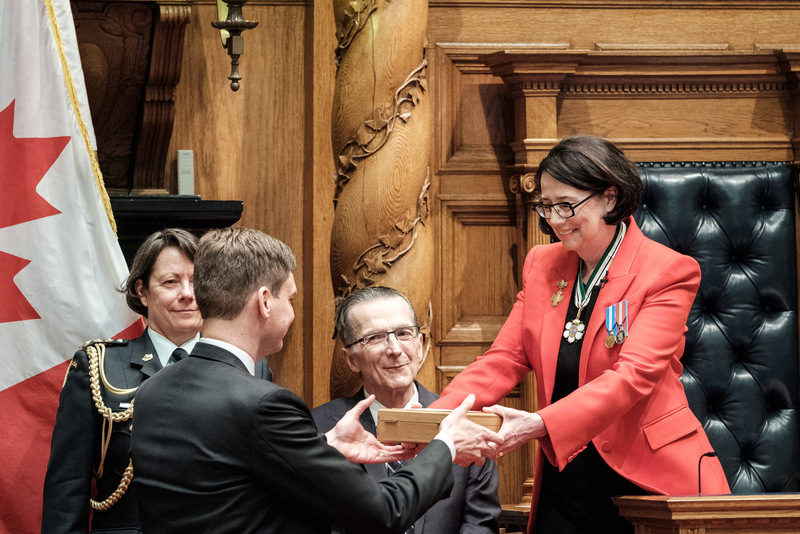 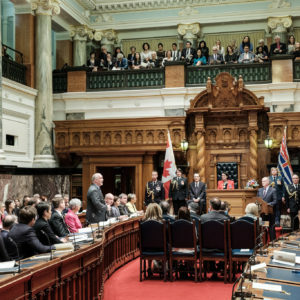 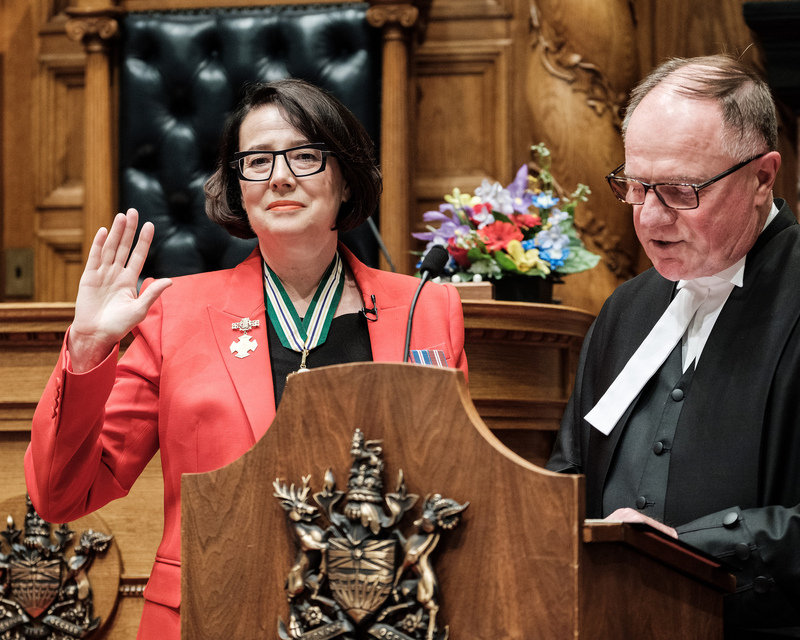 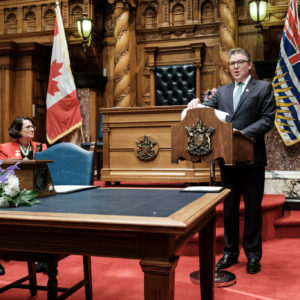 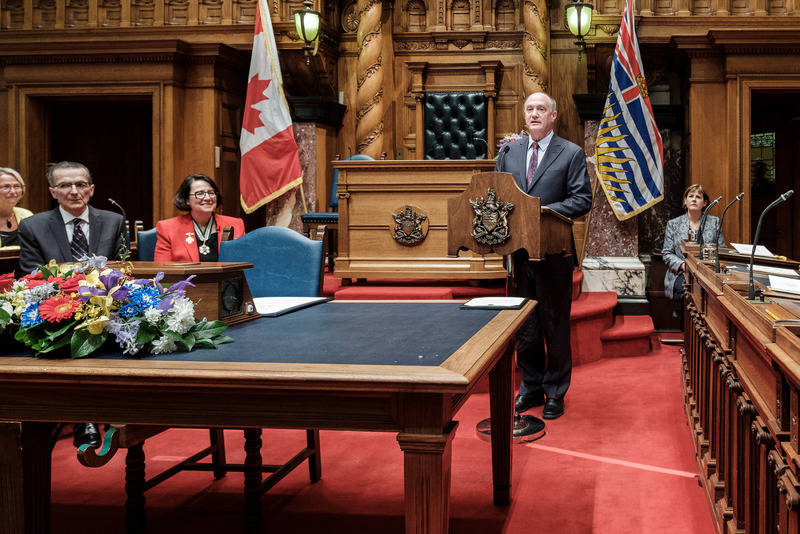 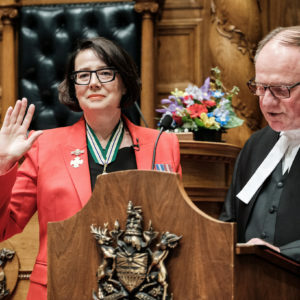 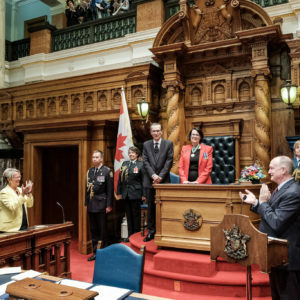 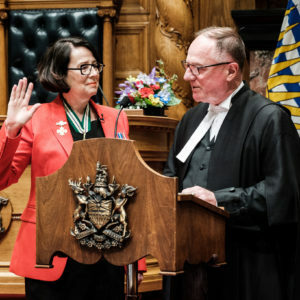 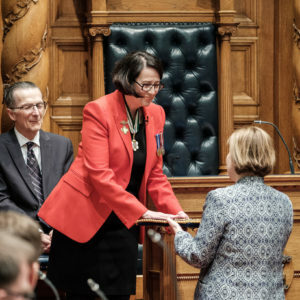 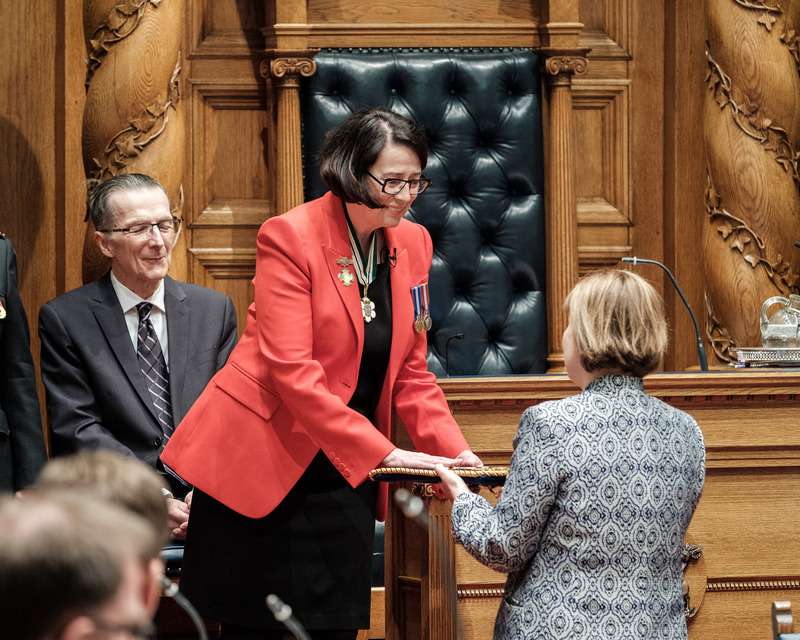 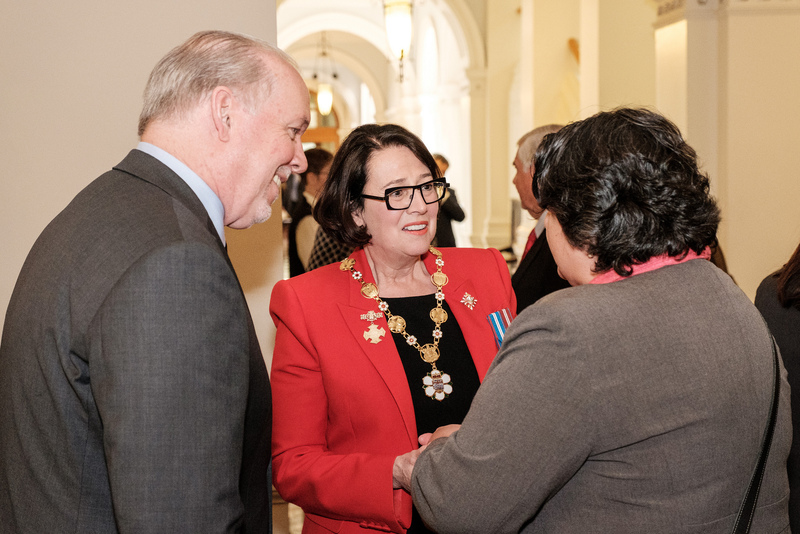 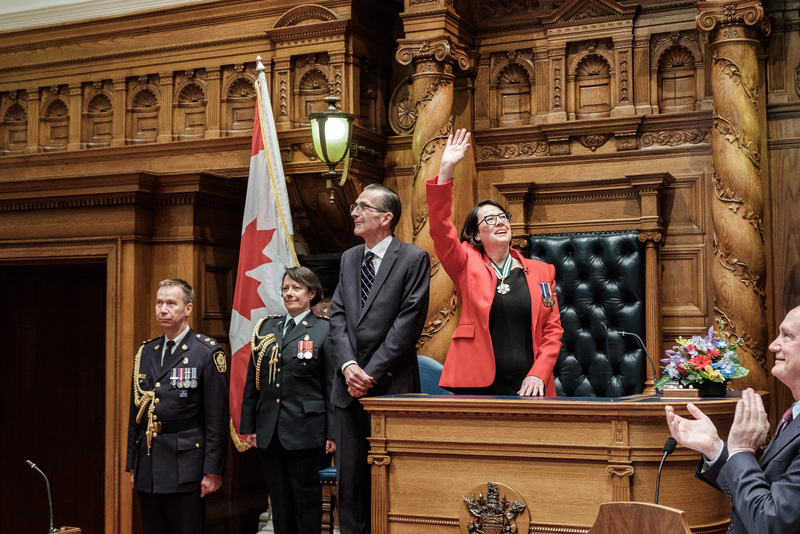 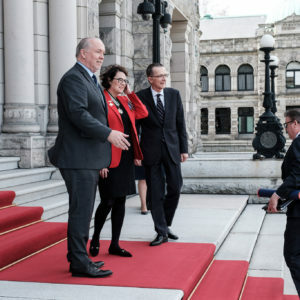 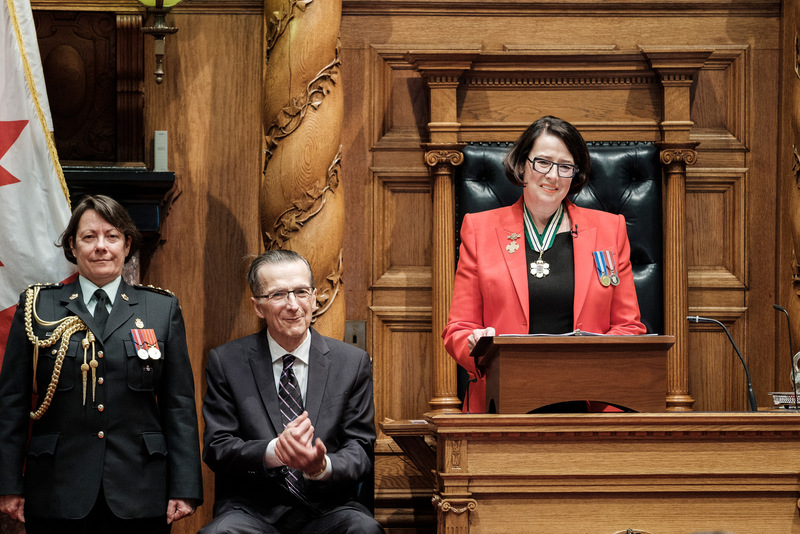 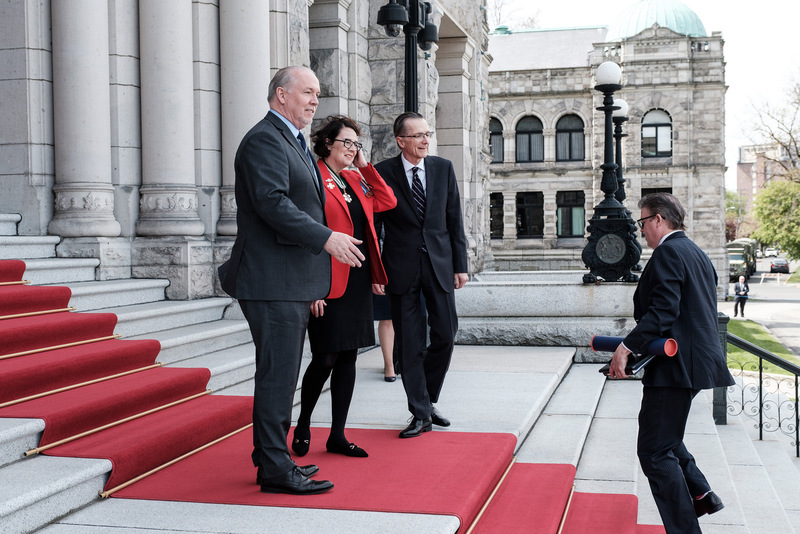 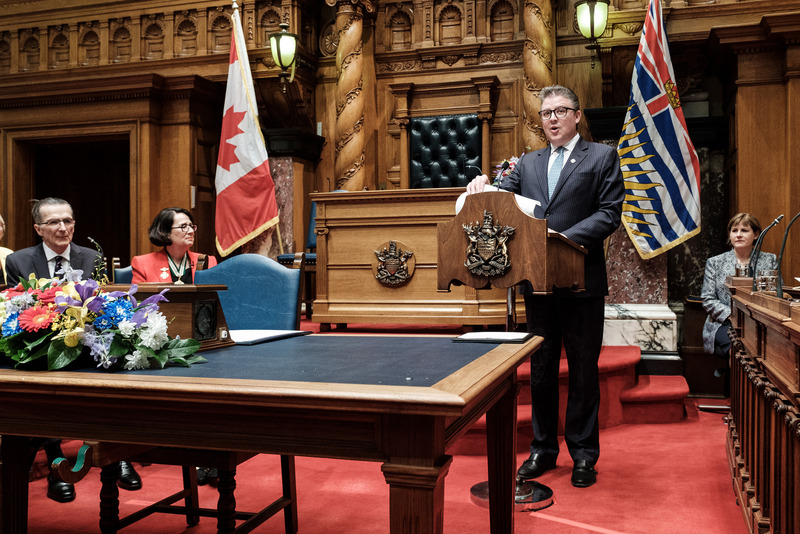 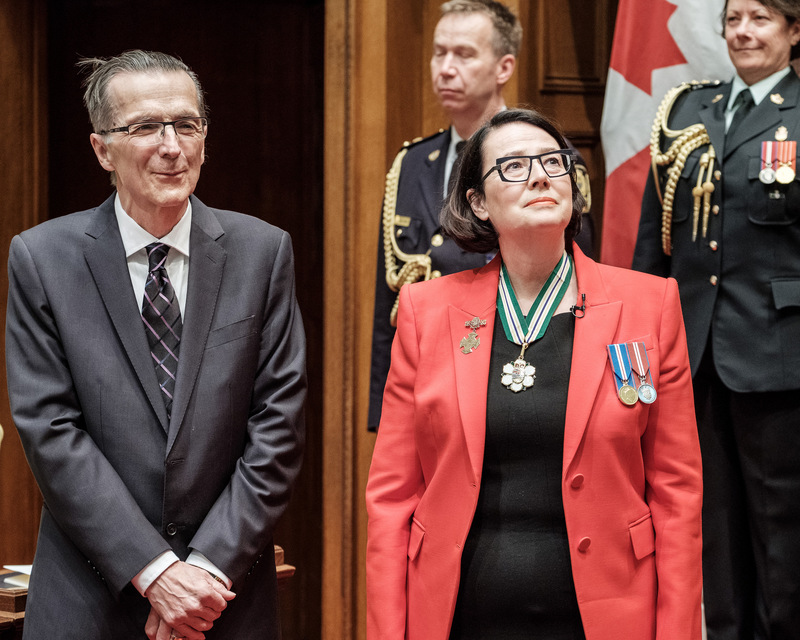 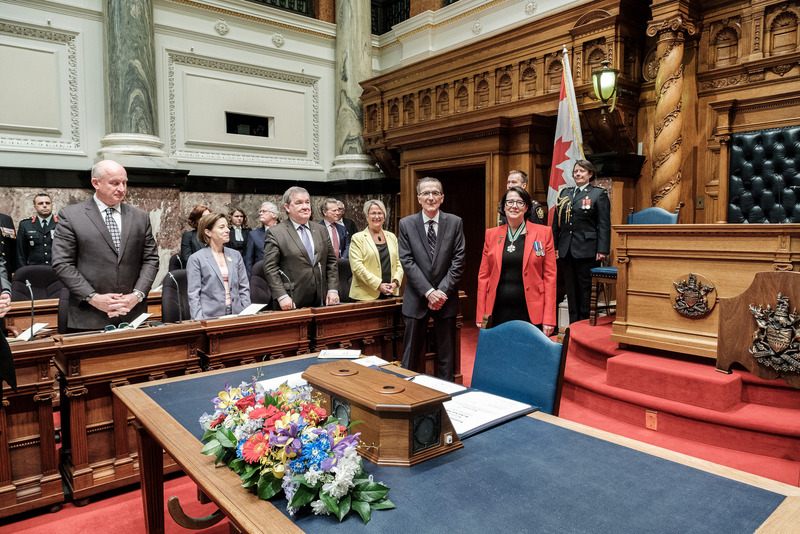 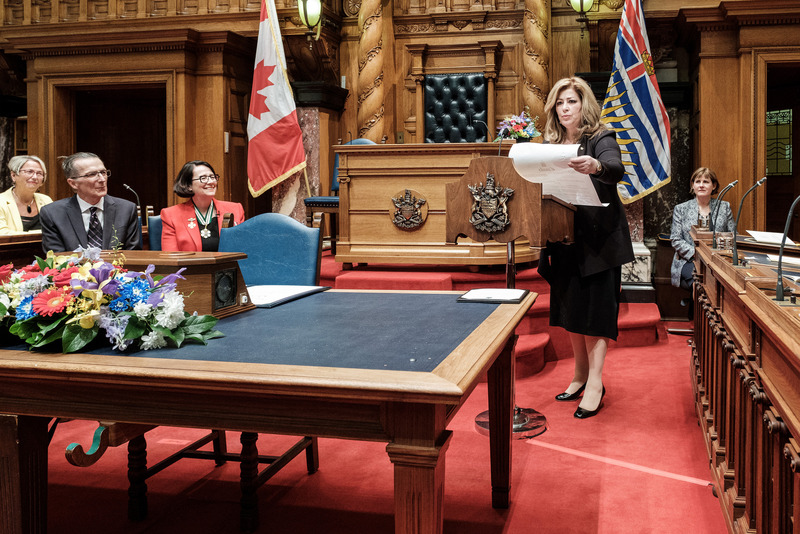 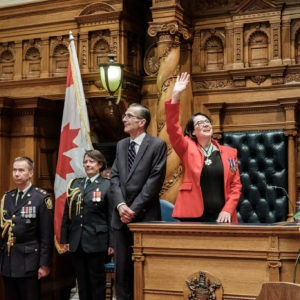 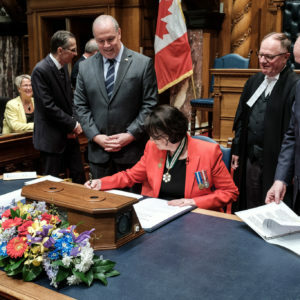 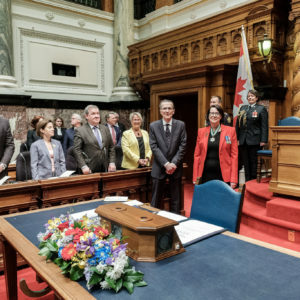 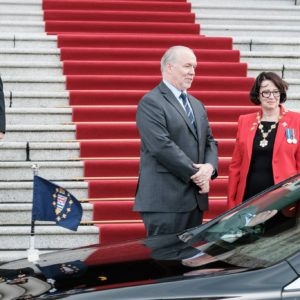 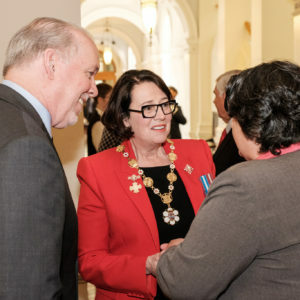 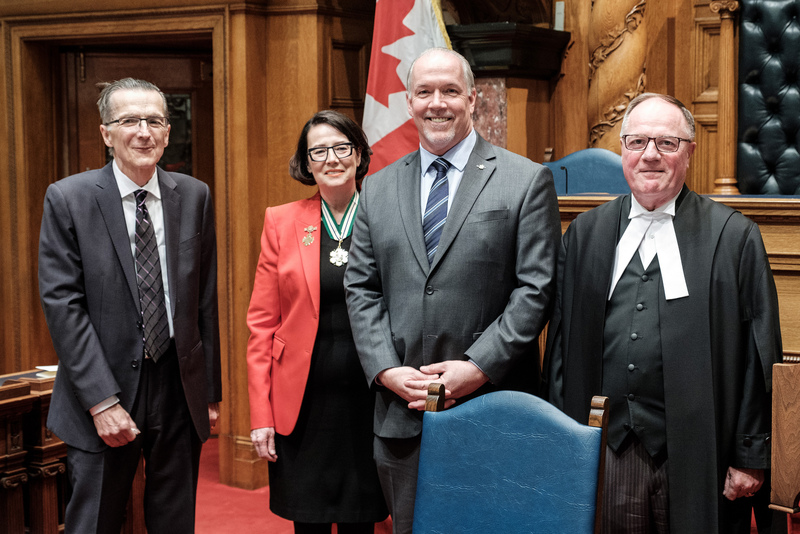 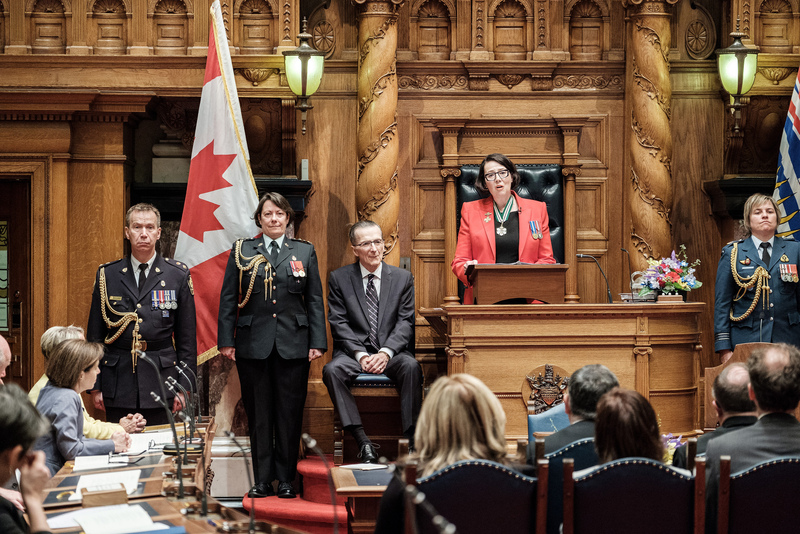 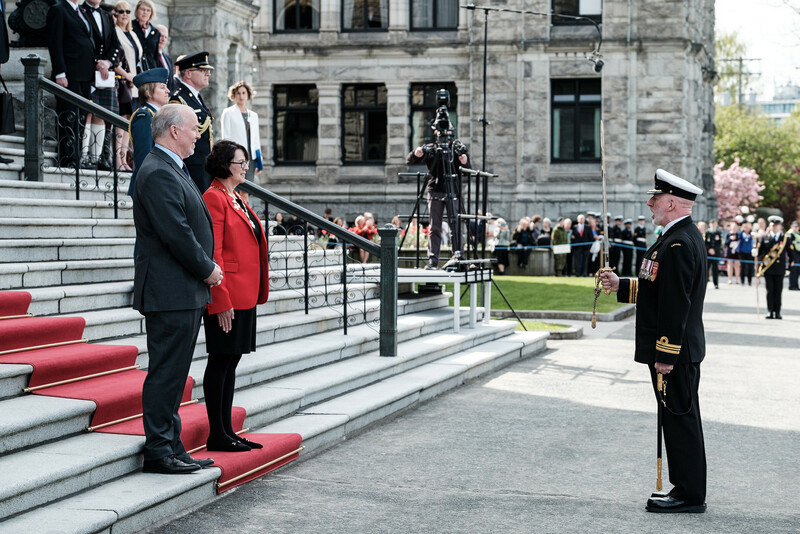 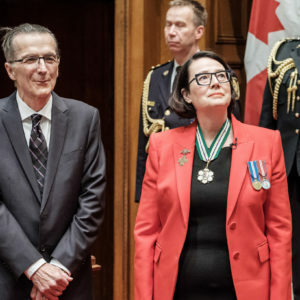 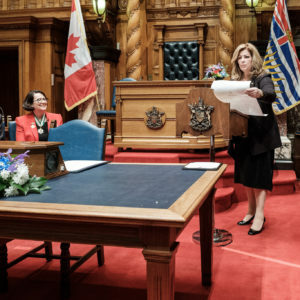 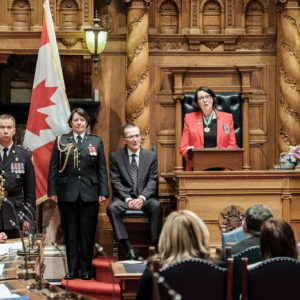 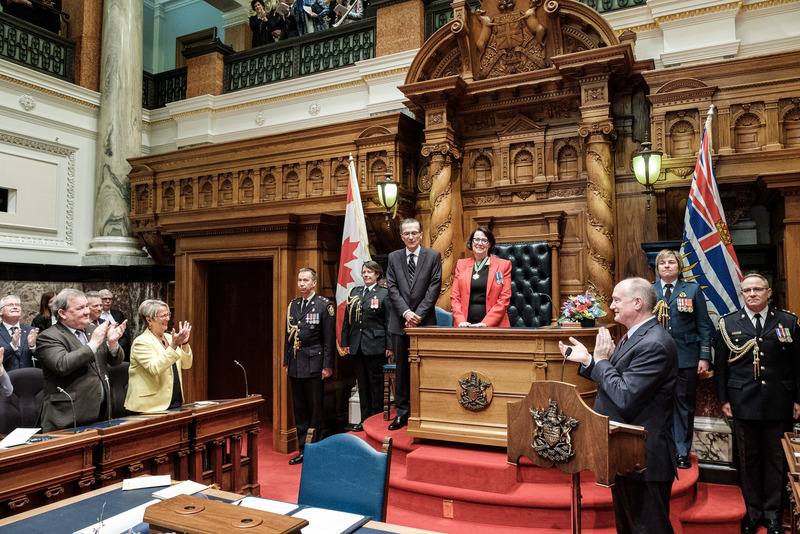 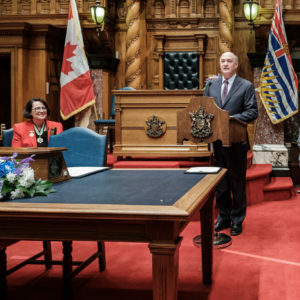 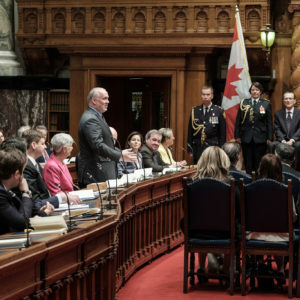 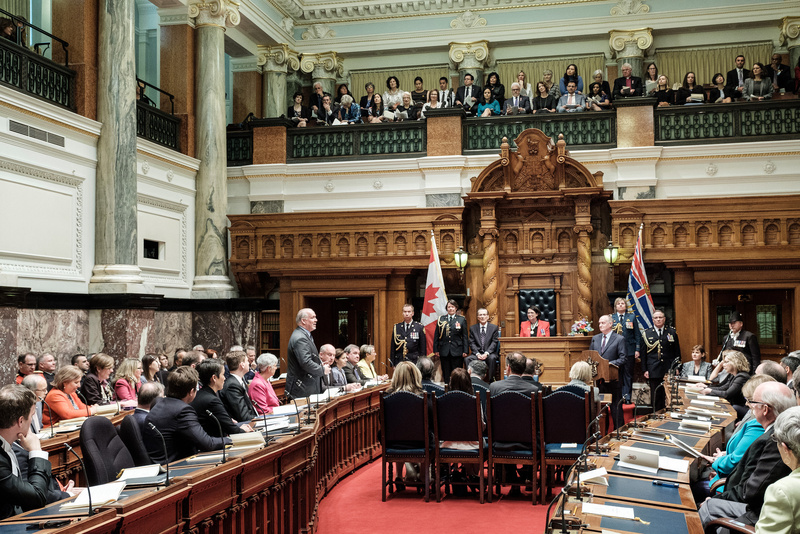 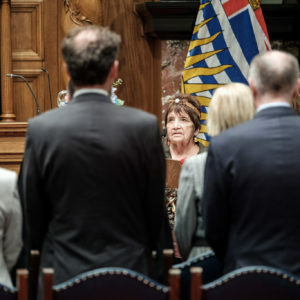 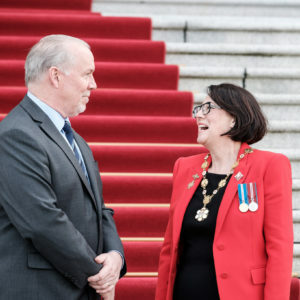 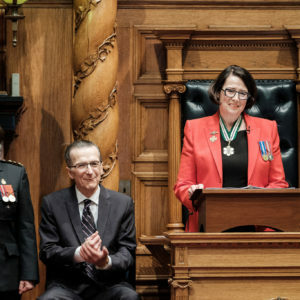 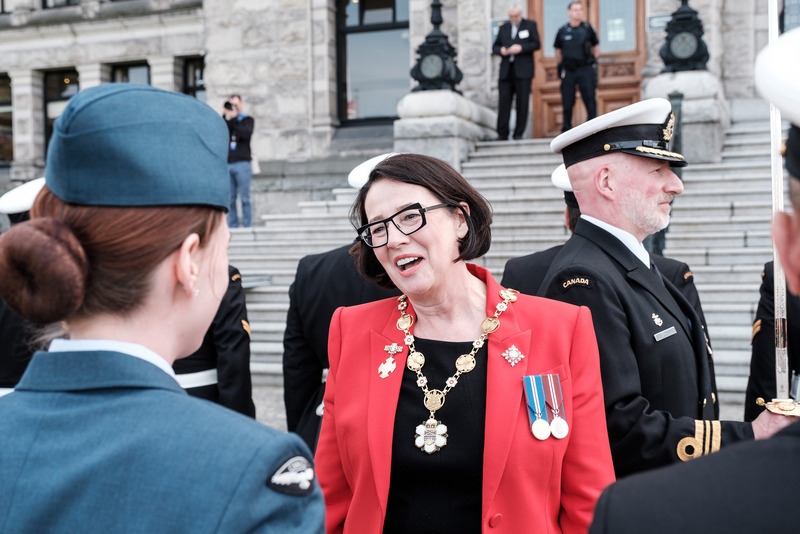 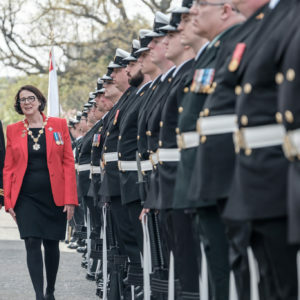 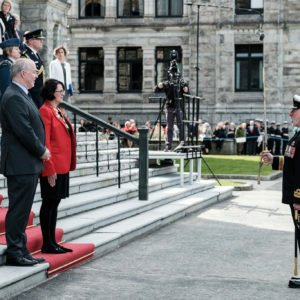 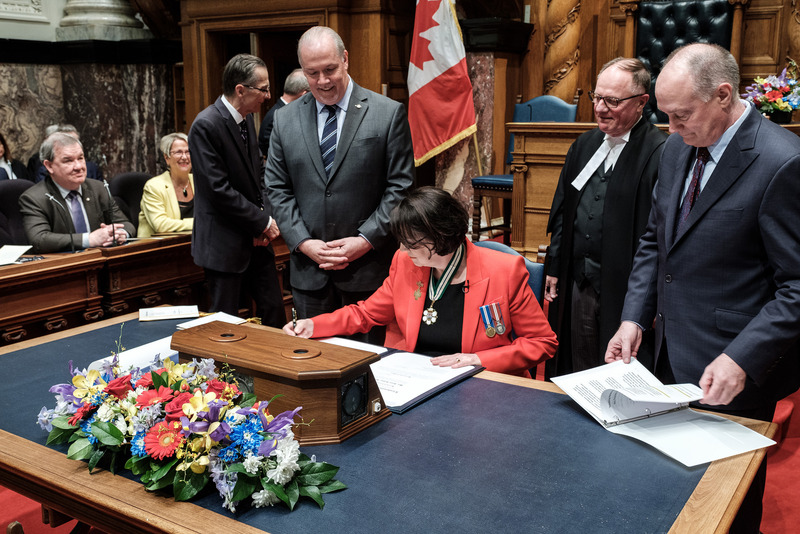 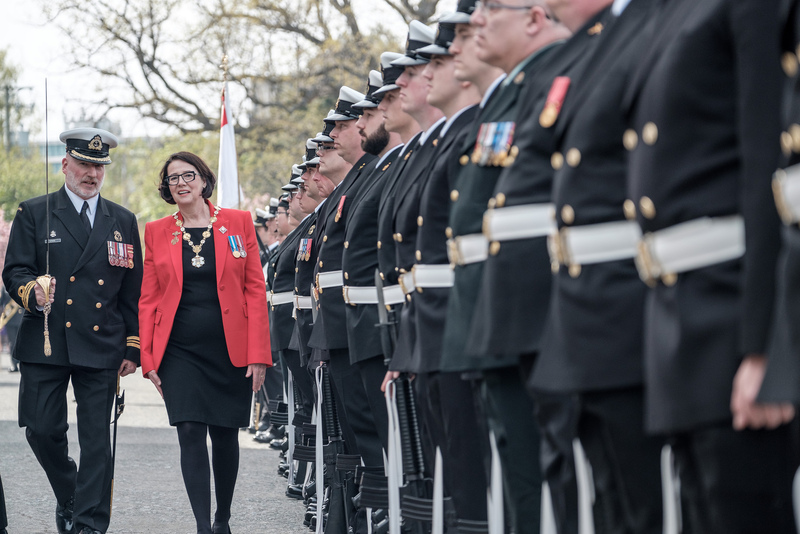 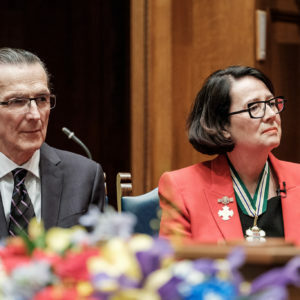 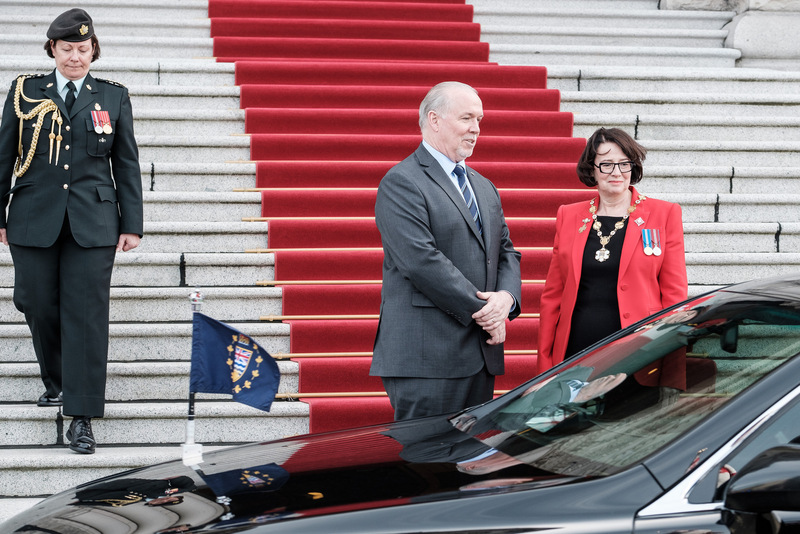 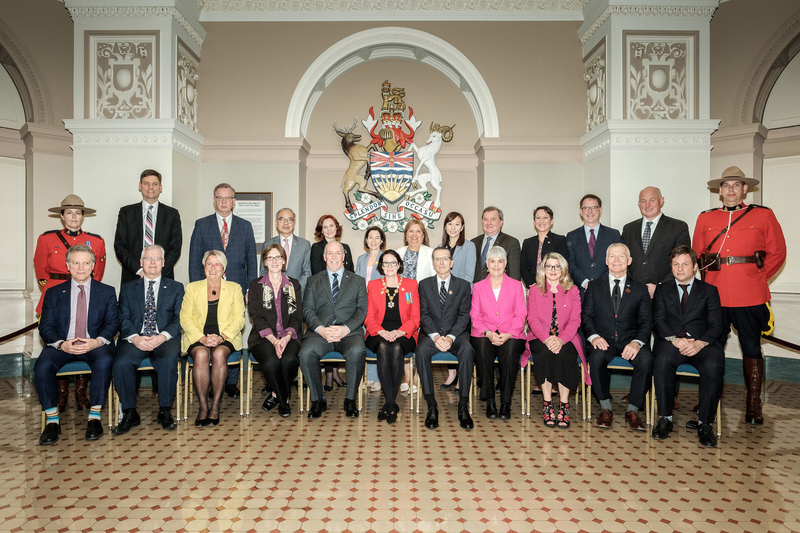 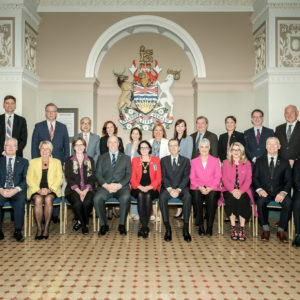 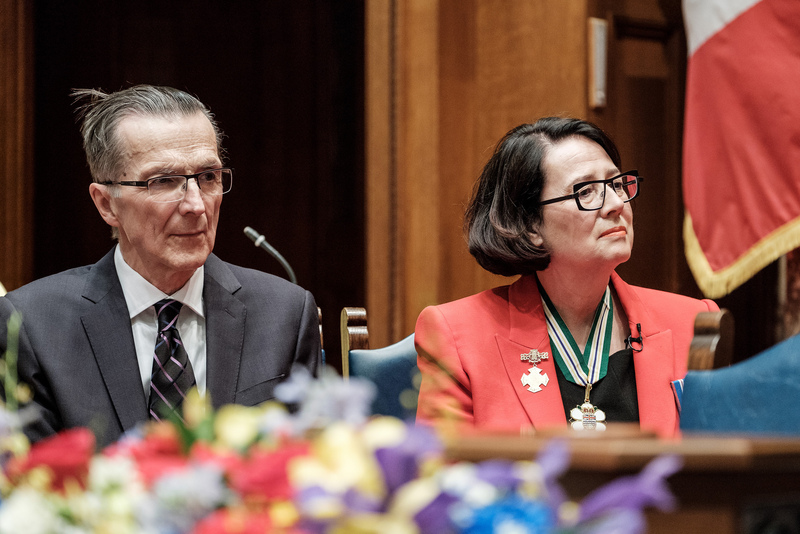 The Honourable Janet Austin, OBC, was installed as British Columbia’s 30th Lieutenant Governor on Tuesday, April 24, 2018. 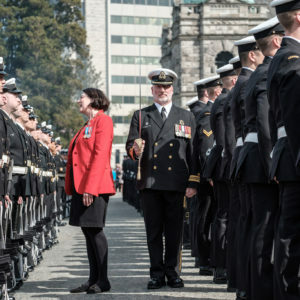 Following the installation ceremony, Her Honour inspected the 100-person Guard of Honour. 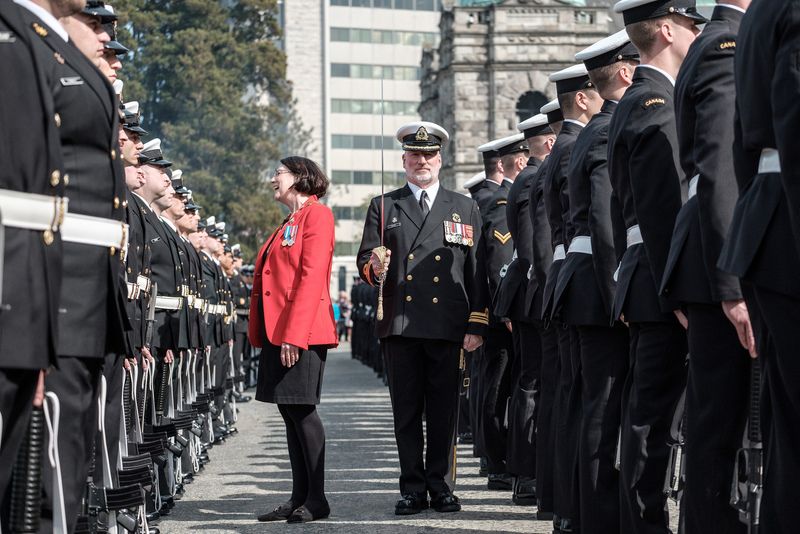 There was a 15-gun Vice-Regal Salute and the Naden Band of the Royal Canadian Navy played the Vice-Regal Salute.